Eladeham, the ‘old home’, ‘Ealda’s Home or Elder’s home’. King Offa’s Common circa 785 AD. In the 9th century annexed by the Danes then later reclaimed by King Alfred. So it’s said. As the sunshine-&-showers summer passes and the stresses of working life and a pervasive general anxiety about the wider political situation increases, I’m finding that I’m once again turning to tending. To watering and seed planting. A bit of gardening is cheaper than therapy and you get fresh strawberries. Just time for a very hasty post today. 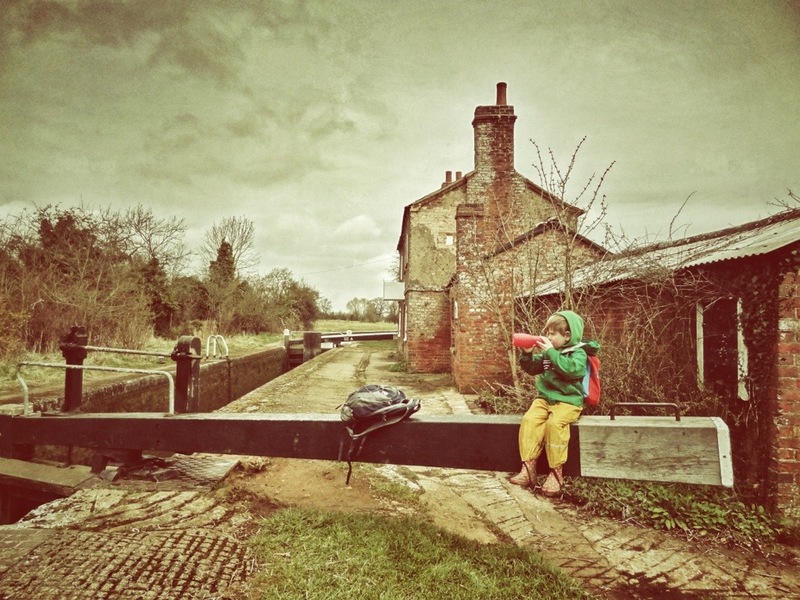 I’m taking up the story of the walk we took at half term, along the Regents Canal from St. Pancras up into Camden. 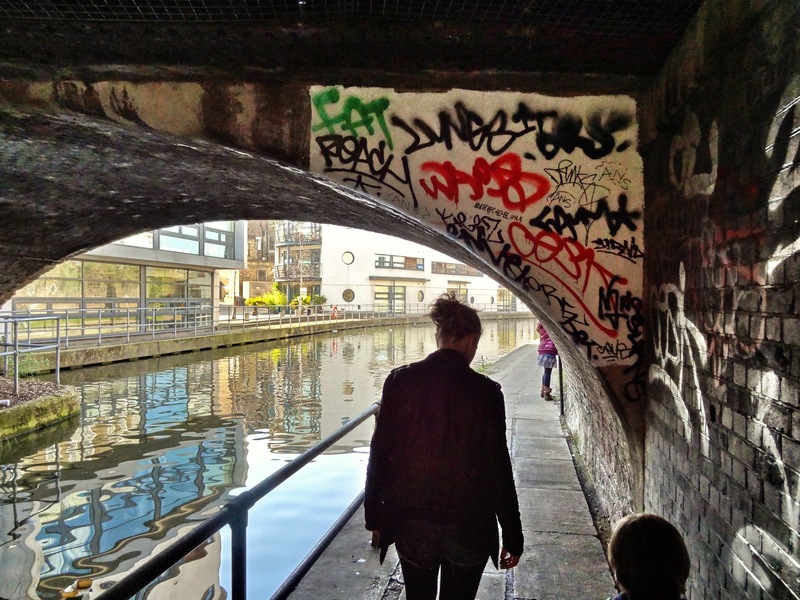 In this graffiti-ed photo Claire, with kids fore and aft, is walking beneath the bridges that carry Royal College Street across the canal. Beneath the arch we’re looking out towards the relatively recent residential development on the old Lawford & Sons Wharf, Camden. By yesterday the kids, having thrown snowballs, made ‘snow angels’, built snowmen, got gloriously soaked to the skins and generally frozen several times were up for something different… so, the boys and I, slithered across London to Alexandra Palace, (no not for the snooker!) to the annual London Model Engineering Exhibition. Drawn to a bit more Water! There’s no keeping us from water! Even when land-locked in Derbyshire we’re drawn to it.